Our Prime line consists of the Environmental Protection Sheet, Pro-Coat Sheet, Pro-Plain Sheet and our exclusive Premium Sheet. Designed with automated suction cup work cells in mind. 10″ of mercury surpassed trials for .024 caliper. 7-8″ of mercury passed trials for .020 caliper. applications where a barrier is critial, turn to Poly Chip. Natural fiber chip board core with a poly coating applied to 1(Poly1Chip) or both sides (Poly2Chip) creating a moisture barrier. Sustainability- Made with recycled fiber. Poly2Chip .020 and .024 is our stock caliper. Designed and manufactured to be used as a substitute for plastic sheets in many instances. Consistent moisture coating, product color and caliper. 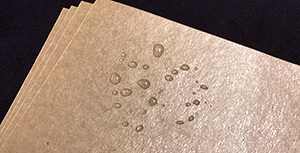 The most common application is used as moisture and grease barriers for pallet tops and bottom, or tier sheets. It has been used in various fields such as Frozen foods, Refrigerated foods, military applications, bulk food stores, automotive, bulk packaging manufacturers, outside storage, and many more. The Environmental Protection Sheet (EPS) is comprised of recyclable solid fibrous paperboard products, made in North America. This product is specifically designed to shield and protect products from being exposed to harmful shipping conditions, warehousing, various liquids and nature’s elements. These sheets are available in white, black, or plain color and poly-coated 1 or 2 sided. Light duty (.012-.030) and heavy-duty (.030-.040) versions are also available. This is most suitable for industries such as shipping, automotive, contract packaging, furniture, steel, food, ice, high moisture environments, paint booths, oily applications and higher temperature processes. Pro-Coat Sheet is a higher-grade clay-coated material than our Choice Coated product. 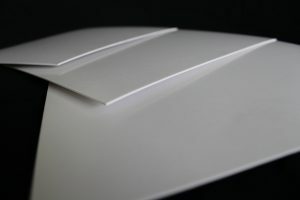 It is the highest standard grade of board available on the market today. 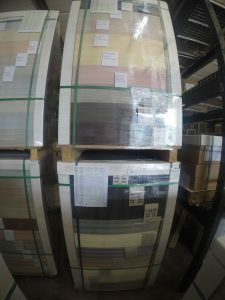 Pro-Coat Sheets are best utilized for limited printing uses for industries such as shipping, automotive, contract packaging, furniture, steel, food, and palletizing drums. The Pro-Coat Sheet is made from paper stock and bleached sulfate pulp. This sheet is constructed from 100% recycled and recyclable materials, such as recycled newspapers and kraft paper. Both news and kraft backed, clay-coated sheets are available in calipers ranging from light duty applications of.012 to .030 to heavy weight applications ranges include 0.31 to .150. This sheet can be used for pallet top and bottoms, slip sheets, tier sheets, folding cartons, dividers, separators, bottle carriers, trays, heavy and light duty protection, backers, box blanks, POP displays, pharmaceuticals, board games, food packaging, boxes, and signage. Both news and kraft backed, clay-coated sheets are available in calipers ranging from light duty applications of.012 to .030 to heavy weight applications ranges include 0.31 to .150. The Pro-Plain Sheet is produced from uncoated paperboard stock and has closer tolerances and color variations than our Choice-Uncoated Sheet. It is an unlined board made of recycled paper stock in thickness ranging from .016 to .150 of an inch. This product is produced in speckled brown or gray colors— you may choose whichever tone you prefer. 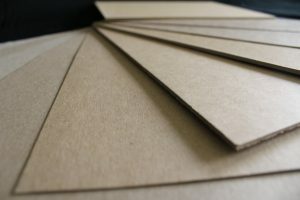 Pro-Plain Sheets are useful for industries such as notebook pads, stiffeners for mailers, shipping, automotive, contract packaging, furniture, steel, food, packaged bag products, and palletizing drums. 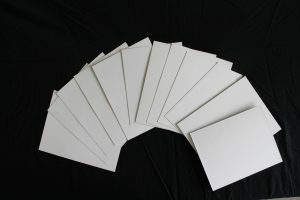 The Pro-Plain Sheets are most commonly used for pallet top and bottoms, slip sheets, tier sheets, unprinted folding cartons, dividers, separators, trays, bottle carriers, heavy and light duty protection, backers, box blanks, POP displays, pharmaceuticals, food packaging, board games, and boxes. Premium Sheet offers a diverse portfolio of paperboard products and services, including SBS, C1S, and C2S. 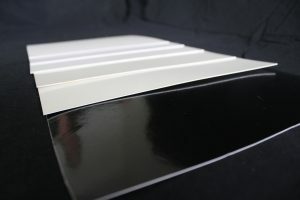 Premium Sheets are available in coated and poly-coated on 1 and 2 sides. Folding box board, blister board, and other various high-yield grades are available in sheet and roll form. 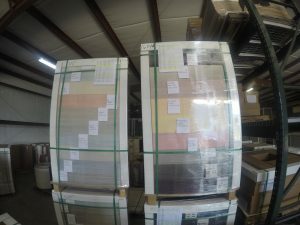 Raw materials for Premium Sheets are ordered per order and can be stocked with a N.A.L. custom stocking agreement in order to reduce lead times. This product is most useful for items such as folding cartons, postcards, direct mail, large format sheets, signage, club cards, pharmaceutical packaging, full coverage printing, lottery tickets, posters, greeting cards, top sheets, laminations, and more. SPECIALTY ADD–ON OPTIONS ARE AVAILABLE FOR ALL SURFACE PROTECTION AND BOARD PRODUCTS. Clipped corners 1-4 corners. This benefit is to eliminate the point punch through as we stretch wrap materials. Crush score creates a relief for a fold. Slit scores create a relief for a fold. Flagging – the main purpose is to visually ID a specific number of pieces and flag. Please call for quote and more details. Bundling – we physically wrap or bundle a specific number of pieces. Please call for a quote and more details. Printing – Capabilities of 1 line, single color, random repeat of name, price, logo, ID, number, etc. We’re happy to help. Fill out the form below and one of our experienced team members will be in touch with you within 24 hours. Already know what you want? Great! Get the details on Surface Protection, Corner Boards, Edge Protectors and custom lamination services. We love to share our knowledge. Click here to get exclusive access to our product brochure. Our monthly newsletter will allow you to stay up to date with latest N.A.L. news and product updates.